Here’s something that may make more traditional marketers squirm: There’s no question that the future of content lies with video. Social media is forcing brands across industries to prioritize video as an integral part of their strategy. Otherwise, brands may miss out on engaging their audiences on the platforms they already live on. But don’t just take my word for it: Research shows that 43 percent of people want to see more video content from marketers. Nearly 52 percent of marketing professionals around the world identify video as the type of content with the strongest ROI. Now, if you’re not doing video already, this might sound like a lot of pressure. I can’t exactly tell you how to feel about your own marketing, but I can tell you that if I were you, I wouldn’t be too worried. Video is a pretty natural fit alongside what you’re probably already doing: written content marketing. Ninety-one percent of B2B companies use content marketing, so you’re likely already writing blog posts and emails and maybe even guest posting to online publications. We tend to consume this industry-leading, data-driven, educational, and amusing content in a variety of ways. And when you utilize video and written content together, you can speak to a larger audience on the variety of platforms it’s using to find and engage with content. Still, you probably shouldn’t just jump into video content simply because you’re doing written content. It’s important to remember that great video content marketing tends to be more time- and resource-intensive than written content, so you want to make sure that integrating it into your strategy is going to pay off. Your audience personas: Who are you targeting with video? Marketing goals: What, exactly, are you trying to achieve with this new format, and how will you measure your success? A process and timeline for content creation: Do you have the team members or outsourced partners you need to create and manage these projects? A distribution strategy: How will you amplify your video to make sure you’re using it as effectively as you can? 1. Review your typical buyer’s journey and your content marketing funnel. You should have a good feel for what these are on their own, but do a little extra research to learn how your best clients or ideal customers actually find you or begin working with you. Then, identify content at each stage of that process — from awareness through consideration to decision-making — that will help them move through the process. What kinds of articles, whitepapers, or videos along the way will help them reach their decision? And how can you get these to them? 2. Analyze your highest-performing content, and identify ways to repurpose it into video content. Which blog posts or guest articles are already doing well? Those messages are resonating with your audience. Take those messages or themes, and creatively repurpose them in video form. Then, see how they perform separately. With the shareable nature of video content, your audience members will likely reward you with higher engagement, even if they’ve already seen your written content. 3. Add video elements to existing content. Don’t get too far ahead of yourself! There’s no need to repurpose every article. Instead, identify existing content that could benefit from the addition of video. Have a popular blog post you love to send prospects or clients? Add a video element to the piece to help your audience engage with it in a new way (and even give yourself a boost in SEO). 4. Detail your video content distribution strategy. Owned, such as blog, email marketing, and social media channels. Earned, such as public relations and influencer marketing. Ultimately, video has the potential to take your content strategy to the next level. With the right plan and strategy, video content can tie in effortlessly to your existing written content, and your audience will reward you for it with higher engagement. 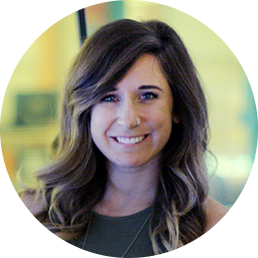 Brittni Kinney is a VP at Influence & Co. who loves discussing how content marketing can help any marketing strategy achieve its full potential. She likes her coffee black and her whiskey straight, and she loves traveling. How to Marry Your Content Strategy to Your Video Content.